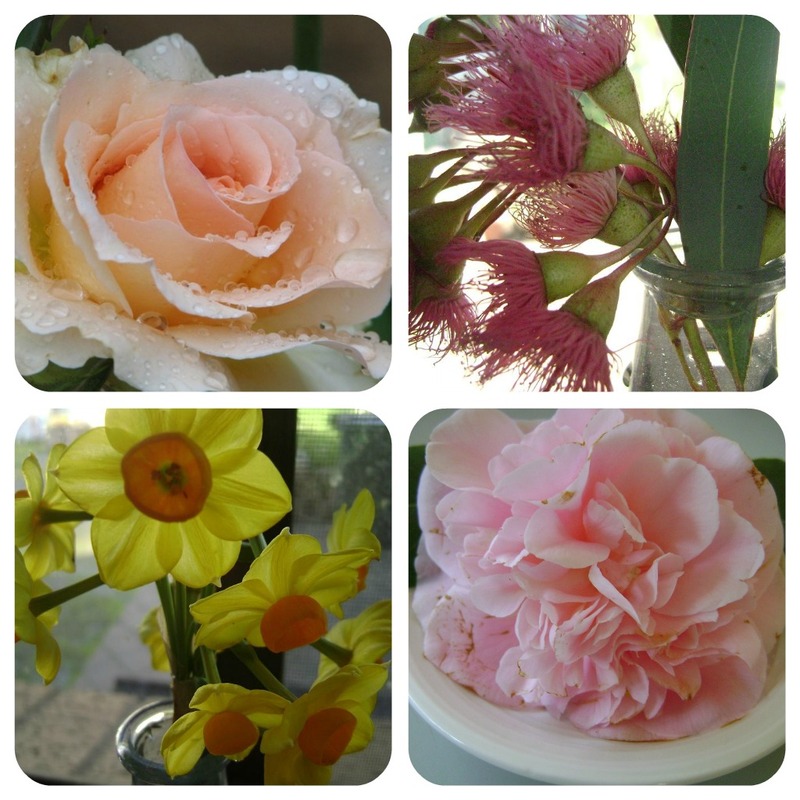 The warm sunshiny days with lovely new flowers appearing. The Roses, bulbs blooming and blossoms everywhere...pure delight.. I love Winter too but Spring is refreshing. 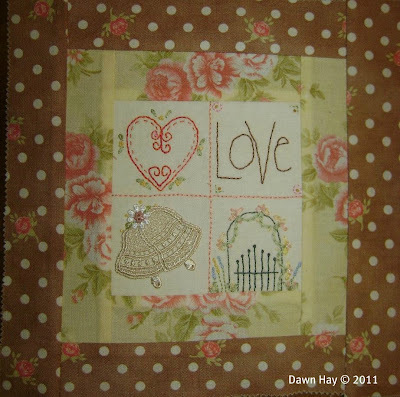 reveal the quilt with instructions for finishing it. 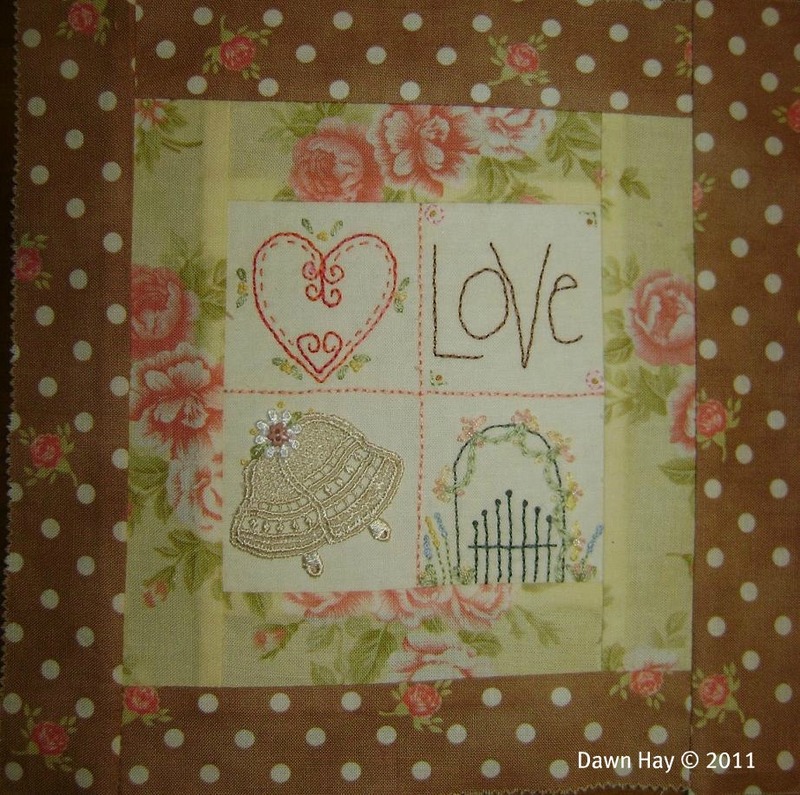 It can be quilted and hung or given as a lovely gift. What are you doing with yours??? before Winter sets in for you! Happy Spring to you! We are going into our Autumn weather here in the U.S. but it's still a bit warm most days. Thank you for these blocks you and Vicki have so graciously shared. I hope to have a chance to start on them sometime after my daughter's wedding in Oct. It's so funny that your tomorrow morning starts when my day before is ending. :-) Have a great day! Sadly I'm not a quilter. I love to see beautiful creations, though! What flower is in the upper right? They are so unusual. Linda the flower is a pink Gum Blossom and so beautiful...unfortunately no smell to us though only the Bees and they love it.. I have downloaded block 9 and thankyou for sharing your patterns with us all, that is very generous of you and Vicki to do so. It is good for you with Spring starting today. We are on our way to Autumn, but it also have its fascination. We just hope the rain will stop. Beautiful block and gorgeous blooms! Great pics. I missed your current BOM. I'm hoping to finish up the Frosty Flakes b4 Christams comes around--again! lol. Loved that BOM... thank you! I'd like have all your tutorials,and to get specially the number nine please.